I have to say that this is a Jethro Tull album that doesn’t get a lot of attention compared to some of the rest of their catalog. To some degree, I understand why. The main issue is that it tends to be a bit sparse in terms of catchy hooks – either vocal or instrumental. The truth is, though, it’s one of the more progressive rock oriented album of the period. It definitely has a lot of the trademarks of the 1980s/90s period of the band, but this seems in some ways a step up from some of the rest. It’s well worth having. I think that’s a given. This comes in very gradually with a world music kind of vibe. The flute leads the way. Then they power out into some hotter, rocking music with the flute continuing in the lead role. The arrangement drops way down for the first vocals, but it gets crunchier when it heads toward the chorus. This is a fiery rocker overall that really manages to exude an almost metal vitality along with a real progressive rock mode. It’s a little non-descript in some ways, but it’s still very good. The first instrumental segment really brings the prog home, even wandering into jazz for a couple measures. Although I don’t think this song is quite as impressive as the opener, it’s every bit as proggy. There is a lot of world music built into this, too. It’s an energetic and rocking piece of music with dynamics and drama. This one is seriously hard rocking through a lot of it. It’s also trademark Tull as far as I’m concerned. There are mellower drop down sections and some great instrumental interplay appears. This is one of my favorite songs here. It has a lot going for it. There is a lot of meat on these bones. Progressive rock, world music, classical and even metal merge here. The dynamic arrangement definitely lands under the prog heading. The only things lacking are some memorable hooks – either vocal or musical. Still, it’s a good song. This is one of the most dynamic and proggy cuts here. It has a great contrast between mellower and hard rocking sounds. It’s trademark Jethro Tull in a lot of ways. It does have more of a modern (at the time) edge, but there are traditional music elements and more that make this easily recognizable as Tull. This is arguably the most progressive rock oriented piece here. It also manages to pack enough hooks into it to be among the most accessible. That combination makes this thing one of the best on the album. 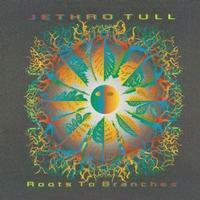 It’s trademark Tull, too, with a great balance between harder rocking and mellower, older and newer sounds. This is a mellower, but still quite prog oriented cut. It’s closer to Ian Anderson solo material in some ways. While it’s not an instant winner, it has its charms for sure. It does rock out harder at times, too. It just happens to linger more in the more sedate territory. Another mellower cut, this has a lot of world music and even some jazz built into it. Yet, it’s very much a progressive rocker. It’s also very much Jethro Tull. It seems to have that written all over it. It’s not the kind of instant classic that some songs are, though. It features a lot of Ian Anderson’s particular tastes. There are a lot of shifts and changes and this is one of the longest cuts of the set, and one of the most dynamic. I really love the fast paced jam at the end of the piece. It’s got all the usual things going for it, along with some exceptional bass work. This number features a lot of classical music and world music. It still manages to rock, though. It’s very much a prog piece. It’s also quite mellow. Yet, it works through a number of variants and changes. It’s arguably the most artsy thing here. It’s not necessarily the strongest, though. Still, it’s quite good. This isn’t a bad song. It’s just a bit predictable. It’s kind of a by-the-numbers modern Tull balladic tune. Parts of this make me think of a cross between Ian Anderson solo and Dire Straits. This has a bit of that predictable air to it. Still, this balladic number just has a lot of charm and character. I like it a lot. The instrumental section later brings it more into progressive rock and classic Tull territory.